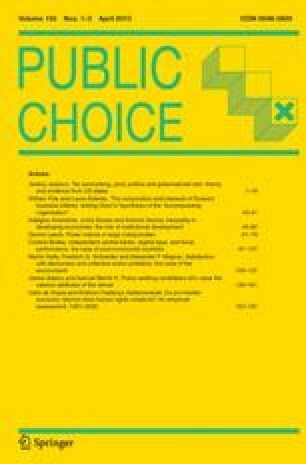 This paper analyzes the public policies that lead to ‘`Katrina,’' paying particular attention to political decisions that created unusual risks in the New Orleans area. Most of the deaths from hurricane Katrina were concentrated in one place, New Orleans, and those losses arose in large part from its location in combination with its three century long effort to ‘`manage’' the risks associated with that location. Crisis management is inherently more error prone than ordinary policy making, because surprise implies the existence of significant information problems and urgency implies that time does not exist to completely address those problems (Congleton, 2005). In New Orleans the unavoidable mistakes of crisis management were compounded by policy choices made well before Katrina made landfall, as well as federalism, partisan politics, corruption, and incompetence. McNabb, D., & Madere, L. E. L. (1991). A History of New Orleans. A web book available at http://www.madere.com/history.html. Reeves, S. (2005). Still we rise again. http://www.frenchquarter.com/history/KatrinaHistory.php.